Congestion is typically caused by inflammation in the sinuses or the airways, trapping mucus and causing complications. Keeping congestion under control can help prevent secondary infections and sinus headaches. An important aspect of maintaining healthy sinuses is the amount of humidity in the air, according to MayoClinic.com. Too much or too little humidity in the air can lead to nasal congestion. The University of Maryland’s Medical Center states that using humidifiers is an effective way of treating congestion. Humidifiers come in different types: cool or warm mist. Both are effective at adding moisture to the air. 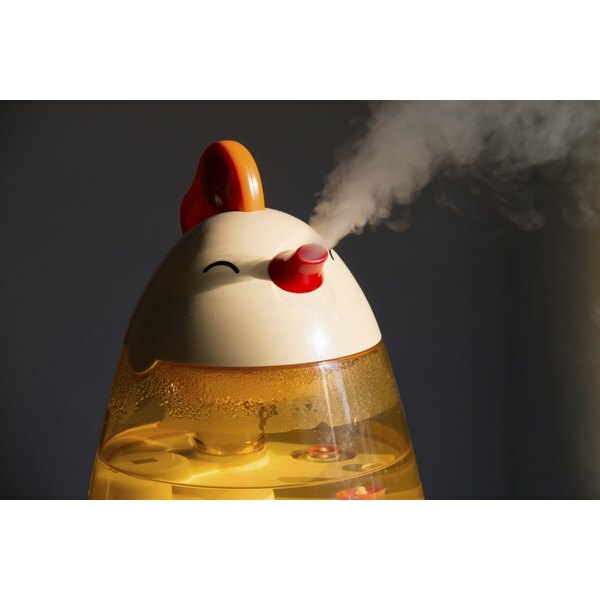 Cool mist humidifiers are considered safer for use around children and pets because warm humidifiers can cause burns. The sinuses become inflamed when the air is dry, especially in the winter months when you use your home heating system. A humidifier replaces the proper amount of moisture in the air, alleviating sinus congestion. Humidifiers can also soothe dry sinuses, causing them to return to proper size. Depending on the humidity levels in your home year-round, different types of humidifiers can be used to raise the moisture in your home. In extremely dry regions, a central humidifier may be installed directly into the central heating and air conditioning units to humidify the entire house. Room humidifiers are used for periodic dry air, such as during the winter months. Humidifiers are used to maintain the proper amount of moisture in the air. MayoClinic.com states that humidity in your home should be between 30 and 50 percent. It is important to keep humidity levels in this range because high humidity levels can also cause nasal congestion. High humidity levels can also cause asthma and other allergy-related issues. Knowing the humidity levels in your home is crucial for nasal health. Use a hygrometer in your home to measure the amount of moisture in the air. A hygrometer is a simple instrument that looks like a thermometer and provides an accurate read of how much humidity is in the air, according to MayoClinic. You can find a hygrometer at a department or hardware store. The overuse or improper maintenance of a humidifier can make you sick. Warm mist humidifiers can encourage mold and mildew growth, increasing allergic reactions and nasal congestion. Properly clean and maintain humidifiers on a daily basis to ensure the health of your family.